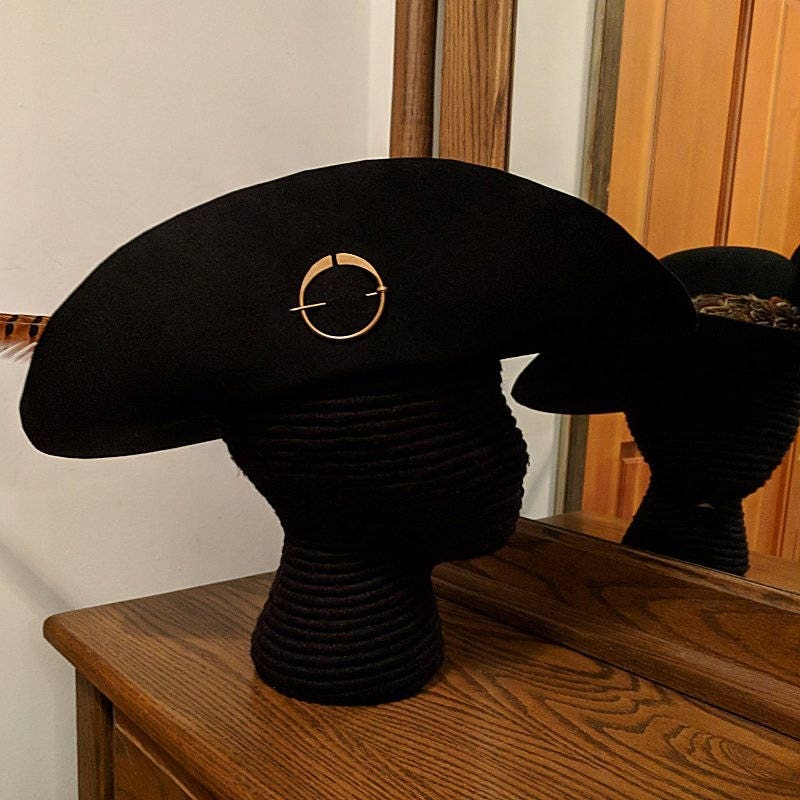 This Listing is for a wide brim felt hat, pinned up on the side with a brass penannular circle brooch. 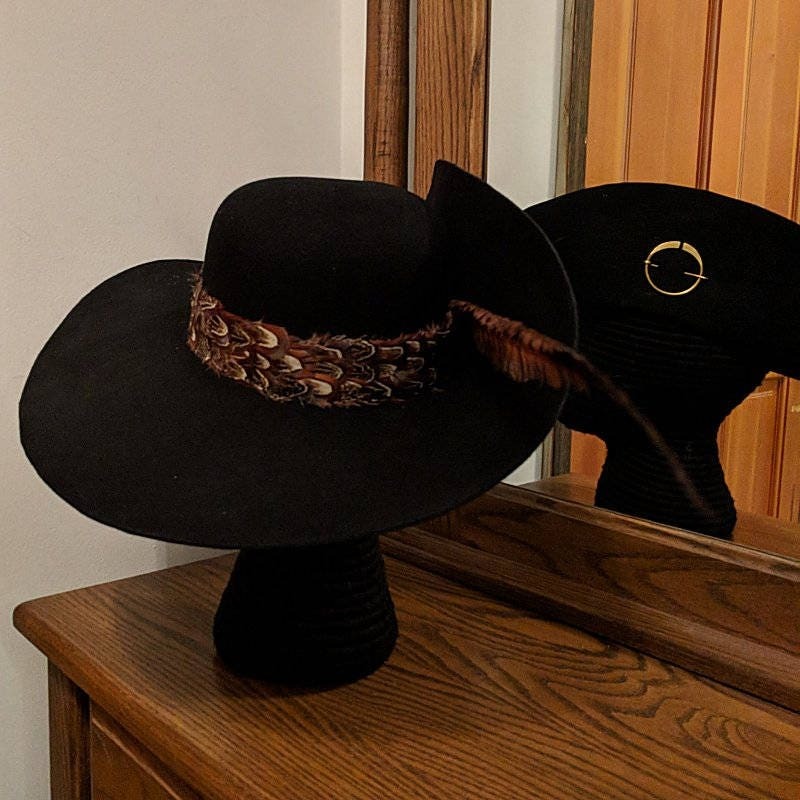 It has an attached pheasant feathered hat band and a long ring-neck pheasant tail feathers to tuck into the brim. 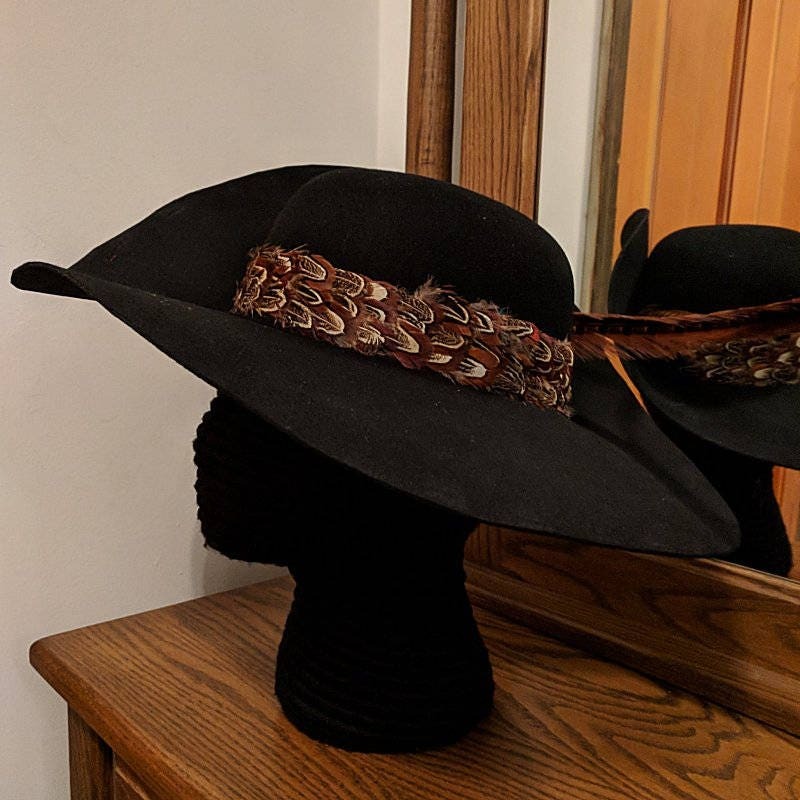 The hatband is not removable. It is held on with permanent waterproof adhesive. 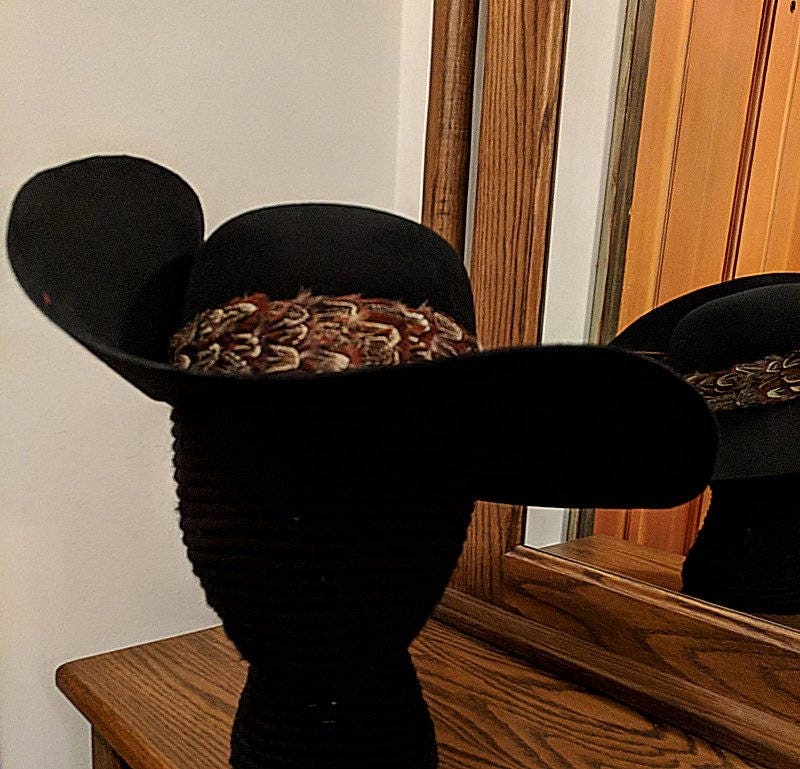 The hat crown is about 4” high and the brim is 4” wide. Black only! 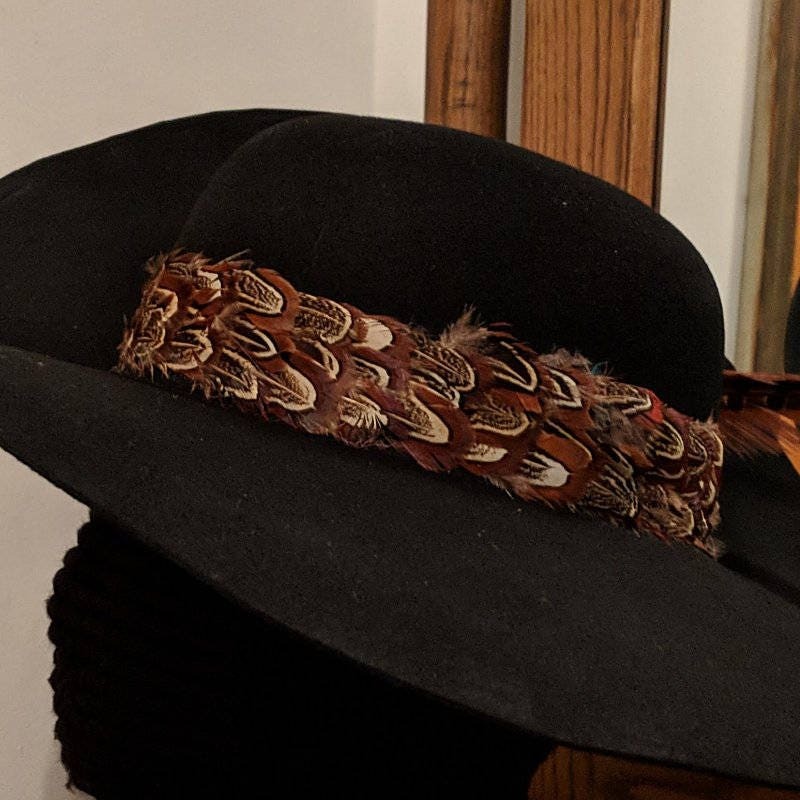 The pheasant feathers are approx. 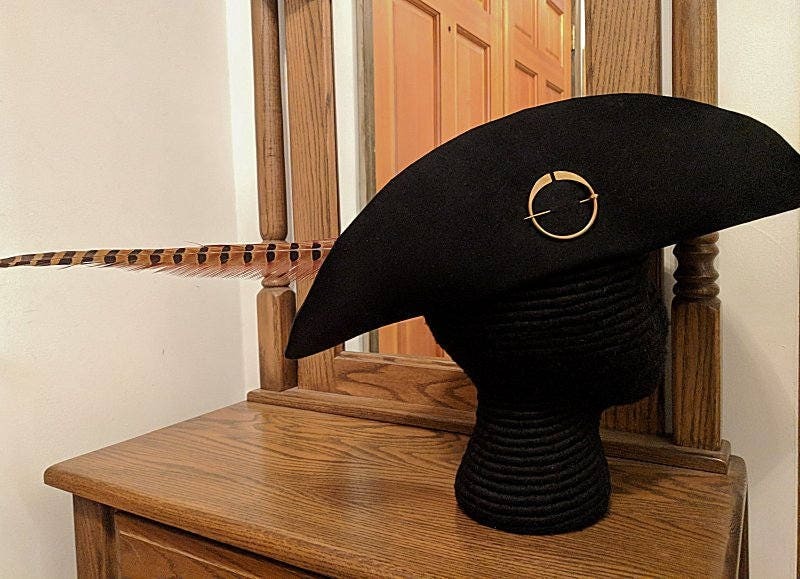 15-18" long and the brass penannular circle brooch is 1 3/4 wide and has a 2 1/4" tang. 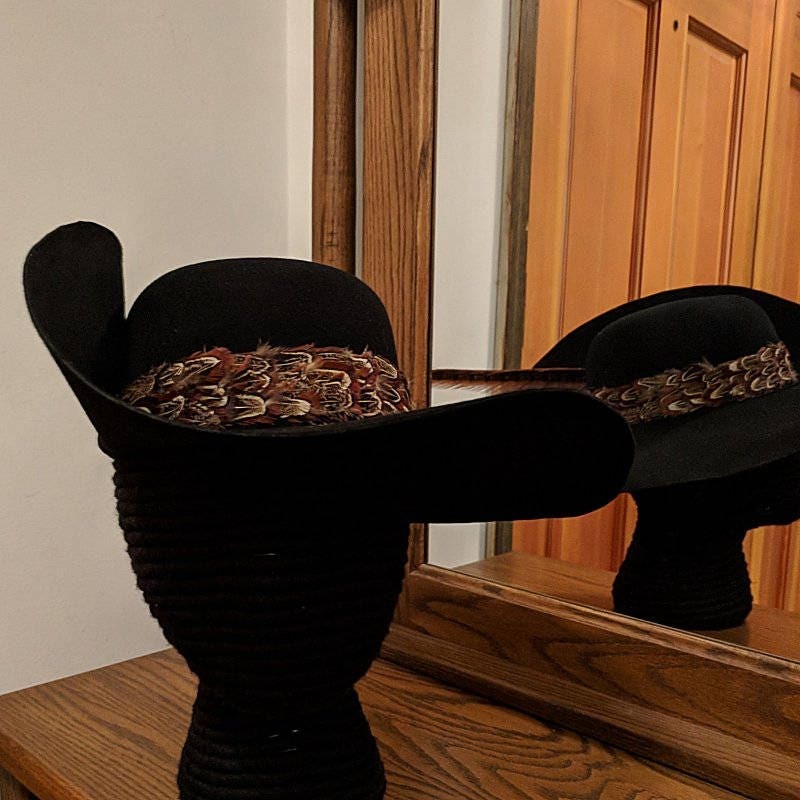 The hatband is approx. 1 1/2" wide. 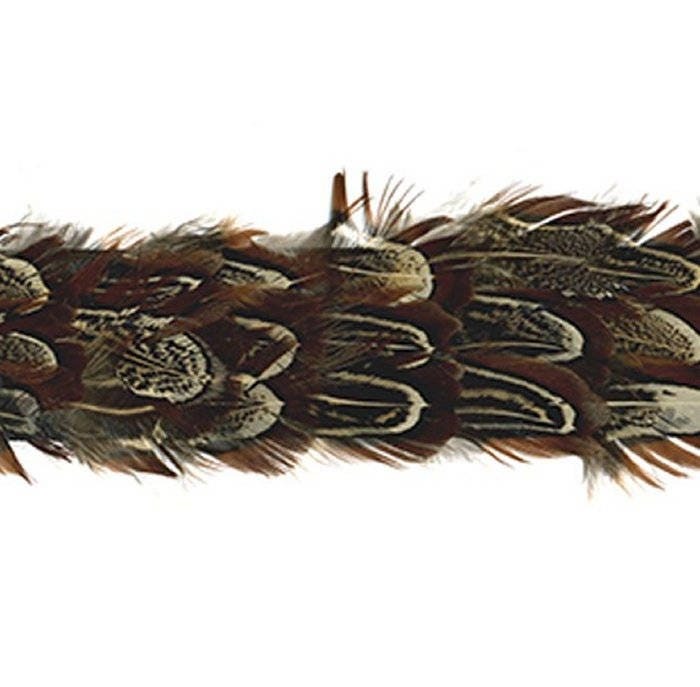 The color of the feathers used on this tape is the almond plumage, which is a rusty brown with a center eye of dark brown and cream. This pattern is often referred to as "church windows". They have been glued on to a polyester-blend tape. These feathers are natural colors and all have been factory sanitized. All items made in the USA! MORE FEATHERS? Check our Supplies section for available inventory.